Never a leaf out of place, nor a flower looking dead; this is the ideal package for homeowners who want a clean, fresh landscape at all times or for business owners who desire a pristine, attractive business landscape. This service includes weeding, pruning, disease and insect watch, light tree trimming, deadheading, and leaf pickup. Because we will be maintaining your property often, each visit will cost you less than the other plans, and we will catch and fix problems faster! For those on a budget or who want to do some of their own maintenance, monthly maintenance service is for you! Monthly services include weeding, pruning, disease and insect watch, light tree trimming, and deadheading . This is a great middle of the road option. For those whose landscape beds have got away from them since installation, one year of basic maintenance can help catch back up. Or, for those who want maintain their own landscapes, but want some help with the major care, our three season maintenance package is the best choice. 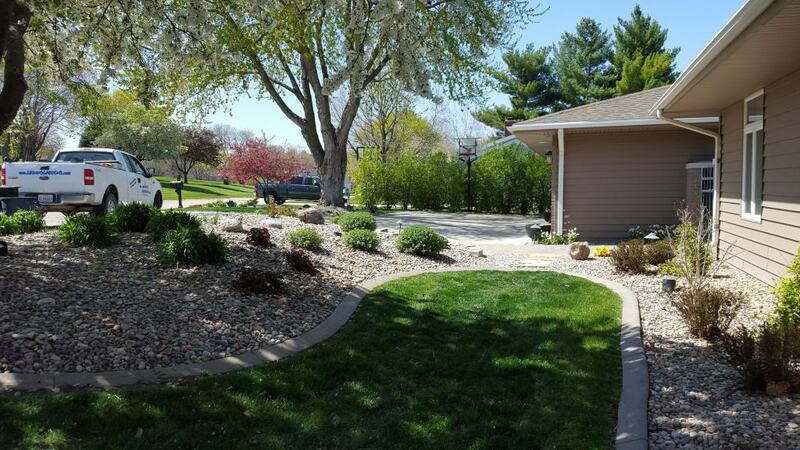 Spring cleanups include cutting back perennials and grasses, shrub pruning and rejuvenation, leaf removal, and plant consulting. 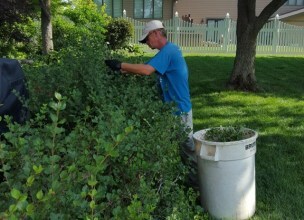 Summer cleanups include leaf removal, shrub pruning, weeding, and perennial deadheading. 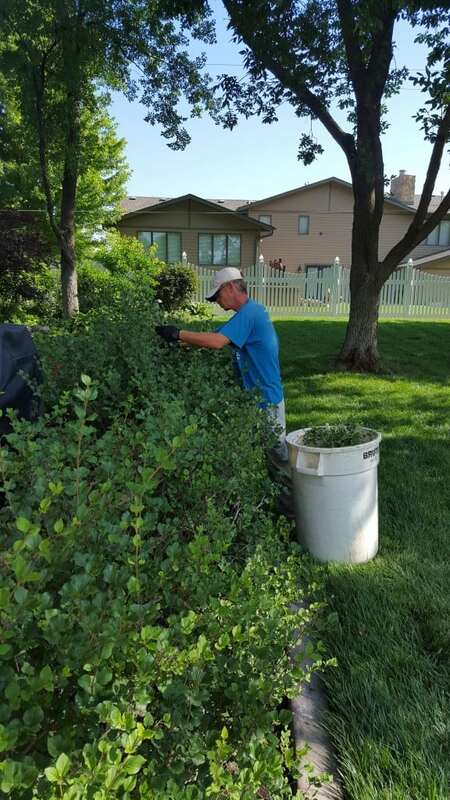 Fall cleanups include perennial cutback, leaf removal, and shrub trimming. Spruce up your landscape beds with fresh mulch. New mulch has a much richer color than mulch that has been in the ground for a couple years. 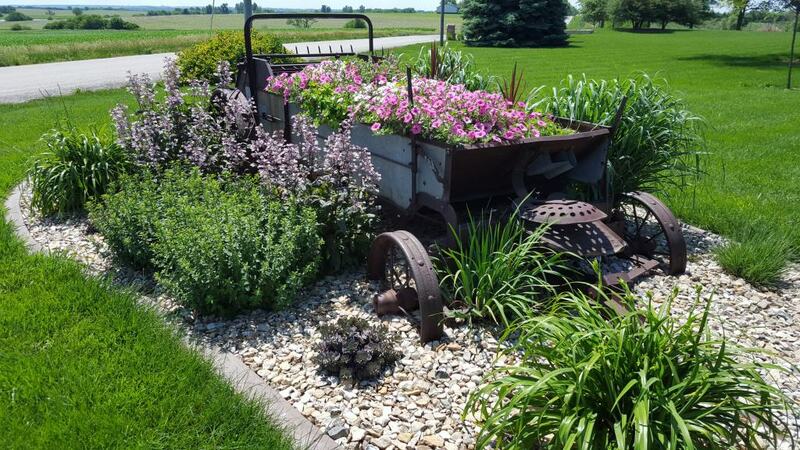 Annually adding mulch to your existing landscape beds is important to reduce weeds, maintain soil moisture levels, and provide hiding places for beneficial insects. 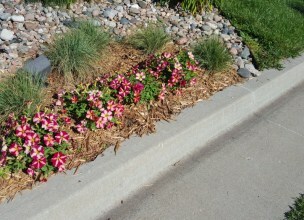 Mulch should be re-added to a landscape a minimum of every 3 years. Liven up your landscape with the Annual Color Program! 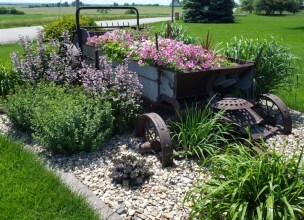 This includes design, planting, fertilization and maintenance of annual flower beds and containers. This program is a great choice for commercial and residential clients who need a splash of color that will last for 9 months and provide an eye-catching view. 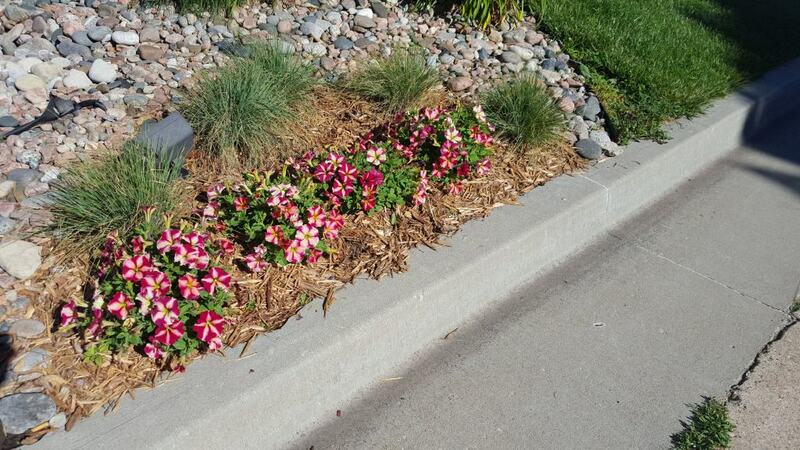 Your annuals can be refreshed 3 times: spring, summer, and fall for season long color. Adding annual flower containers to your porch, patio, or landscape is a great choice for both commercial and residential customers. Plantings include Xeri-Pot© systems, spring, summer, and fall plantings. 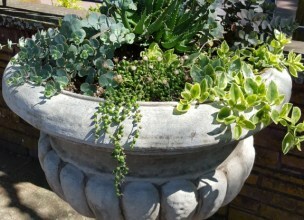 Container options can also include planting up for weddings, holidays, or special events of your choice. 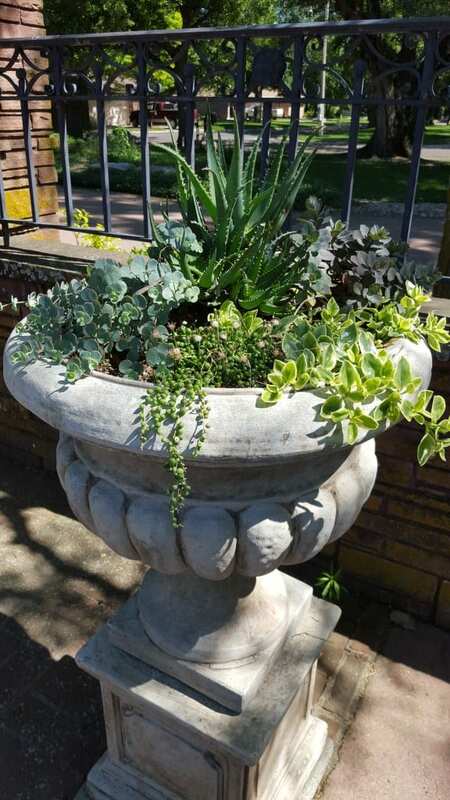 Our standard rate is for a 14” planter; however, we will do containers of all shapes and sizes! 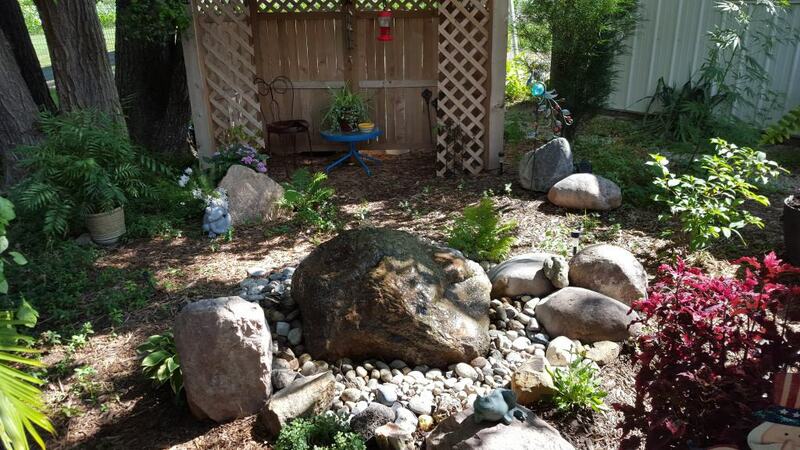 Anyone with a water feature will love our pond cleanup! If you have a large, multi-pond feature or a simple fountain we can save you the hassle of playing in the muck and trying to remove all the debris. With our specialized equipment, a task that would have taken several days is reduced to just hours. With this program, we will drain your pond and clean your rocks, skimmer, and filter. We can also add extra gravel (materials are not included in price) and readjust your underwater lights if requested. If you have fish, we will be sure to use safe products to take the utmost care for them. Add-on options include yearlong care and water plant consultations. If you desire yearlong care, we have all the necessary chemicals and nutrients to make your pond a well-balanced, wildlife friendly feature for the whole year. 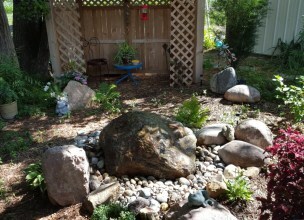 We also do water feature landscape consultations to help you design and decide what plants to place around your feature. Be sure to sign up for our Annual Color Program to bring an extra pop of color to your water feature! First we will scout your landscape for bagworms or other devastating insects that are feeding on your plants because we believe in only spraying when there is truly a need. This saves you money and also is good for the environment. After scouting, if the damage threshold (the amount of insects that cannot be controlled by cultural or environmental means) is reached, we will spray once with an organic pesticide. We will spray a second time if needed. We will manage your insect problems in a safe and environmentally friendly manner. Tree trimming includes using a large lift or tree climber to correctly prune dead, disease, and bad growth patterns from large trees in your yard. We will maintain all safety procedures and remove all debris from your landscape. This is an option for anyone with large trees that have branches overhanging the house, any trees damaged by storms or ice, or trees that are growing incorrectly. Since every tree is different, we have the tree evaluated by our Arborists before giving a quote. Maintaining a healthy and well producing orchard begins with our fruit tree package. This package includes a late winter pruning, dormant spray, pest scouting, petal-drop spray if necessary, and summer scouting for major insect issues. This is great for anyone with fruit trees that want the fruit but not the worry. Call or email for more details! 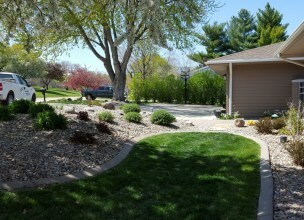 Call us to have your landscape maintenence scheduled today! 785-459-2586.